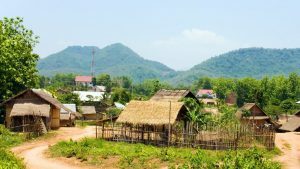 Arts & Ethnology Centre is dedicated to the preservation and celebration of the many ethnic groups existing in Laos both today and in the past. This cultural display of arts and lifestyles reflect a very diverse ethnic population. Permanent exhibitions feature traditional textiles and clothing, jewellery, religious artefacts, handicraft tools, baskets, photography and household objects. 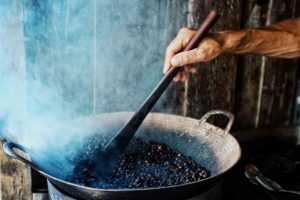 Arts & Ethnology Centre offers visitors a rare glimpse into the life of Laotian people giving a greater understanding to their richly diverse culture with quotes, photos and videos bringing the exhibits to life. 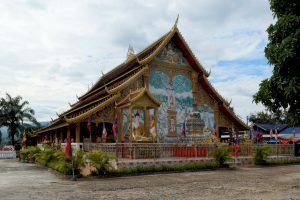 Located in a restored heritage building, it is the only non-profit museum in Laos solely committed to interpreting and preserving the lives of the country’s ethnic groups. Arts & Ethnology Centre is small in size but packed with interesting and informative pieces which are organised to an international standard. The museum shop operates on a fair-trade basis by providing local craftsmen and women with an opportunity to sell their hand-made goods with a stock of around 500 products supporting a number of families across Laos. 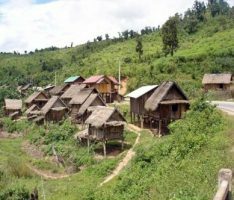 There are over 400 exhibits documenting the life and times of 30 ethnic groups at the Traditional Arts & Ethnology Centre all supporting Laos’ varied cultural heritage. Reconstructions of domestic existence deliver a unique insight into everyday life alongside displays of religious and ceremonial items. Permanent exhibitions include the subgroups of the Akha people which feature a headdress comprising more than 300 pieces of antique Indochinese silver. The Kmhmu display portrays bamboo basketry in a Kmhmu home featuring baskets and back strap looms. Special exhibitions at the museum are well worth a visit and often showcase ceremonies and rituals such as the recent “From Courtship to Kinship: Wedding Celebrations of Laos’ Ethnic Groups”. Displays at the Courtship to Kinship exhibit included the wedding crown of Kim Di Mun which was crafted from human hair and pure silver, superb documentary-style photography and detailed explanations of the customs and rituals added to the depth of this acclaimed exhibition. Opening Hours: from Tuesday to Sunday at 09:00-18:00 Location: behind the Dara market at the bottom of Phou Si Hill at 335 Ban Khamyong in the centre of Luang Prabang Remarks: The museum shop sells artisan handicrafts made by villagers and is also a great place to grab a taste of traditional ethnic minority dishes at Le Patio Café. Exhibit translations are in English, Chinese, French, German, Italian, Japanese and Spanish and are available free of charge. Seminars and private tours can also be arranged at an additional cost.